Bill Browning received a bachelor of environmental design from the University of Colorado and an M.S. in real estate development from MIT. 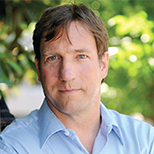 Browning founded Rocky Mountain Institute’s Green Development Services. He is a co-founder and partner at Terrapin Bright Green. Browning’s clients include Walmart's Eco-mart, Yellowstone National Park, One Bryant Park, the White House, and the Sydney 2000 Olympic Village. He coauthored The Economics of Biophilia and 14 Patterns of Biophilic Design, among other publications. He was a founding member of the U.S. Green Building Council’s board of directors.